Shanghai is a shopper’s paradise, in which you can acquire everything from luxury goods (e.g., by shopping on Nanjing Road) to imitation pieces (brand name knock-offs). Those who feel that fakes will make interesting souvenir items can certainly try their luck in a Fake Market. To do this, one need only wait until approached by someone offering watches, for example, on the Nanjing Road. Then, follow along for 5-10 minutes to an old building on a side street where you will be offered a large selection of fake brand name jeans, shirts and watches. It is advisable not to pursue such an activity alone, because in following the person from the street you will be confronted by shopkeepers, and soon by other shopkeepers, and the situation could become tense quickly. Alternatively, such Fake Markets can also be found in the larger Metro stations, where one can wander through aisles in a more relaxed atmosphere. In the shops that offer counterfeit goods, one should always be careful and bargain down the price. Show little interest at first, and make an opening offer of half the amount shown on the price tag. If you successfully acquire counterfeit shirts, pants, and MP3 players, you must realize that importing them into your home country will likely be a violation of trademarks and copyrighted designs. In addition, even if your purchased goods don’t infringe on any proprietary rights, they might be of dubious quality. Thus, your commemorative printed T-shirt might fade quickly, or your MP3 player might not have any built-in memory. 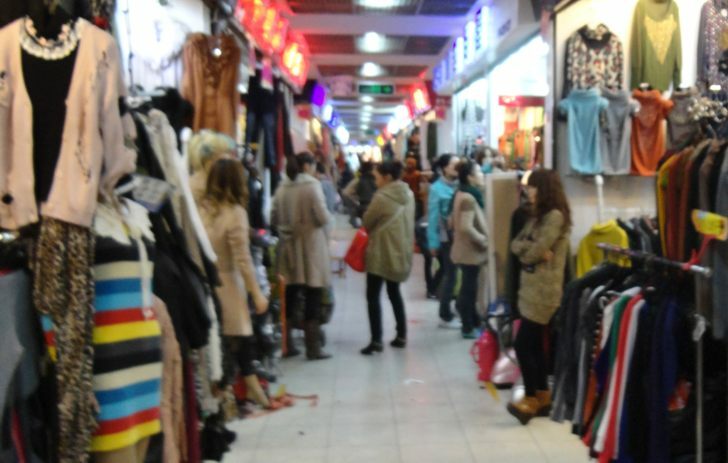 A visit to the shops in the old city is an extremely interesting activity. Typical souvenirs, such as paintings, calligraphy, chopsticks, tea, or porcelain ware can easily be found here in a quiet and relaxing atmosphere. 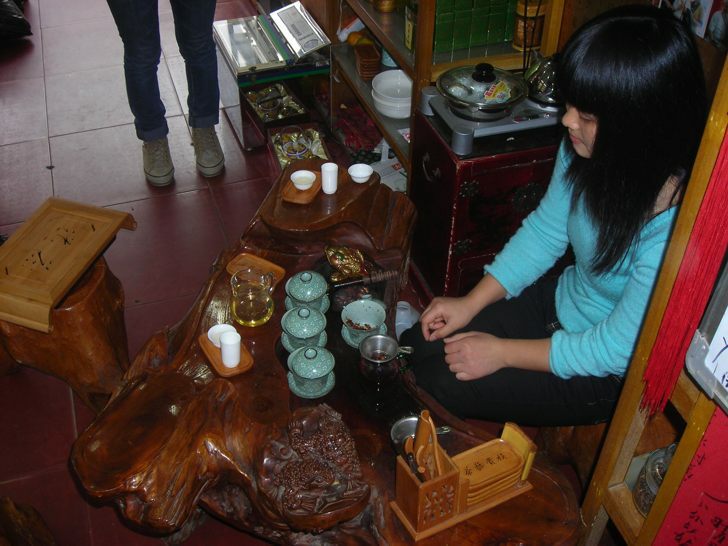 The merchants in the tea shops allow their customers to sample various kinds of tea. However, this adds some psychological pressure to buy at least something. The prices in such shops are generally not negotiable, but one can always try. Regarding more exotic souvenirs, such as traditional Chinese medicine (TCM) preparations, snake wine, or ivory chopsticks, common sense dictates that these should be avoided. Many such souvenirs will contravene the Convention on International Trade in Endangered Species, and will be confiscated at Customs when coming home anyway.